Short Course on Wetlands for Water Treatment and Resource Recovery. Total number of participants will be about 25 from both Asia and Africa. The course also provide a hands on design opportunity using a theoretical waste water source and several site scenarios to go through a step by step evaluation and design process that will synthesize all of the material learned in this course. Dr. Mark Clark, Associate Professor- Wetland Ecology. 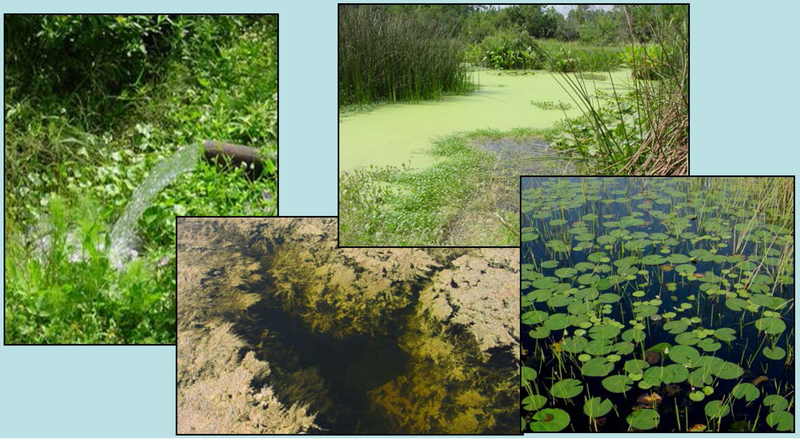 Expertise in wetland ecological dynamics, ecohydrology, vegetation dynamics and the integration of wetlands and other biological treatment systems into the landscape to mitigate water quality impacts related to stormwater runoff in urban and agricultural landscapes. Dr. Kanika Inglett, Research Assistant Professor – Environmental Microbiology and Bioremediation. Expertise in microbiology related to remediation of waters and soils enriched with metal and organic contaminants. Dr. Patrick Inglett, Associate Professor – Biogeochemistry – Expertise in biogeochemical processes and nutrient cycling in wetlands related to water quality improvement and climate change. Dr. K. Ramesh Reddy, Graduate Research Professor – Biogeochemistry – Expertise in the use of constructed wetlands for treatment and resource recovery. Dr. Suhas P Wani, Director, Soil Scientist with expertise in integrated watershed management and safe use of wastewater in agriculture and Integrated water resources development. Environmental consultants, national and international NGO representatives associated directly in IWMP. This training will enhance the understanding of participants in new holistic and farmer-centric approaches in managing agricultural watersheds. The training group will get a broad understanding on the potential use of low-cost green technologies for water treatment and resource recovery, and strengthening ecosystem services. The course fee covers a CD containing lecture notes, PowerPoint slides (PDF), sample exercises and selected journal articles (PDF). One computer will be provided for two participants for hands-on exercises during the training period. The fee also covers on-campus accommodation (twin sharing in flats, or single dormitory), meals and refreshments. The fee does not include travel costs to and from ICRISAT. During the training course, day care services can be arranged for participants who intend to bring their children (aged 6 months-4 years old). The charges will be INR 200/- per day.